FROM THE LAB: Check out our discounted course bundles, and Join Us!! As if the Ornament & Crime wasn’t jam packed with amazing functionality already. 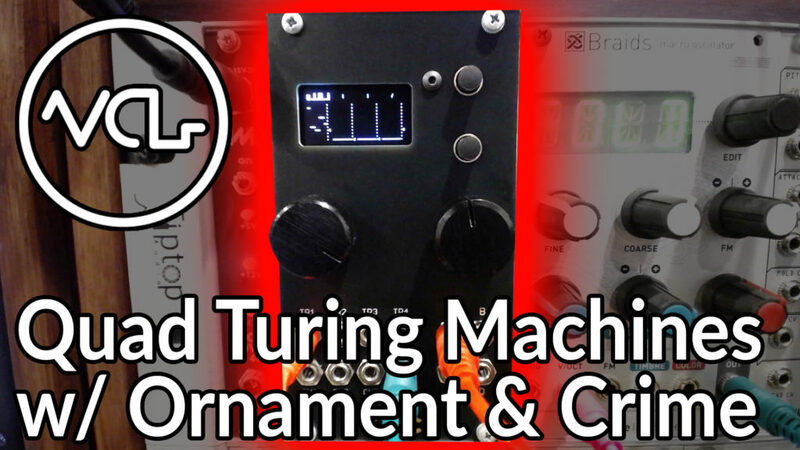 Buried within the Quantermain mode, which we explored last week, the Ornament & Crime is hiding a Turing Machine on each of the 4 available channels. 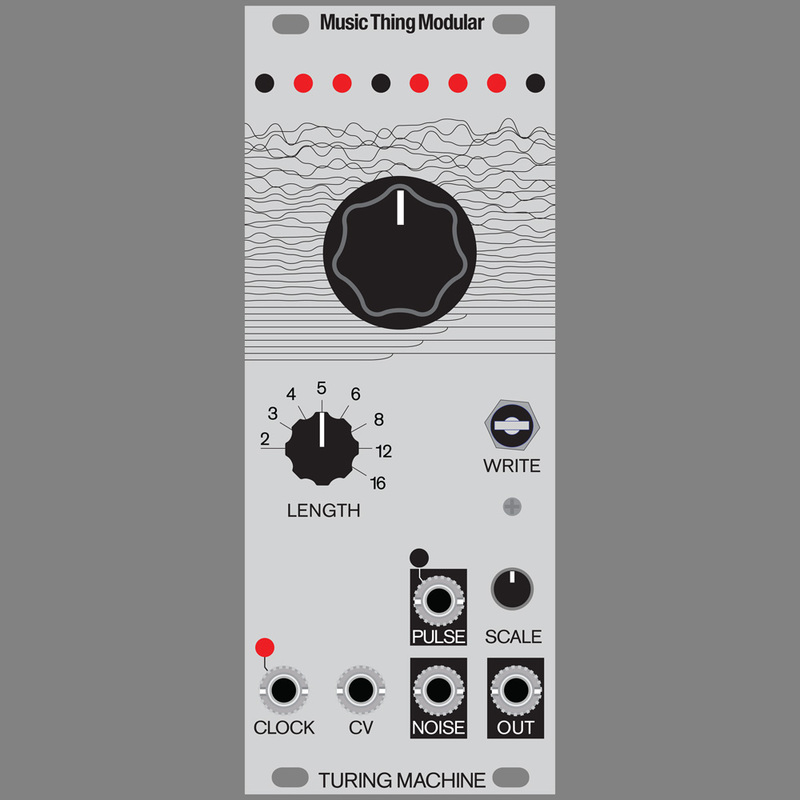 One of the most popular modules in Eurorack, the Music Thing Turing Machine (and other modules that use a similar method of randomization like the Malekko Richter Noise Ring) has a quirky method of looping randomized series of notes, creating useful sequences of stepped voltages. The concept behind the Turing Machine is deceptively simple. The module employs a linear feedback shift register which generates a series of pseudo-random voltages. The main knob controls the probability that each step will be randomized. When this knob is turned to it’s extreme, the last few randomized steps will be looped, the number of looped steps determined by the Length knob. A third knob, Scale, generally acts as a VCA, controlling the voltage range of the randomized steps. Each internal Turing function works the same way. Scrolling past the CV input options in the CV Source menu selection, the Turing Machine appears as a series of stepping bars. The menu dynamically changes to accommodate the controls we see on the original Turing module, including assignable CV input control over the probability/looping and voltage range. Using channel 2 or 3 on Maths as an offset, we can control when the randomized sequence is looped by hand, but this could be sequenced as well. Making this functionality even more useful, the Turing Machines on each channel can be scaled through the complex pitch quantization settings that are native to Quantermain mode. How are you using looped stepped random voltages in your system? Tell us about it in the comments! Check out our course bundle deals and Join Us for our upcoming Sound Design course!